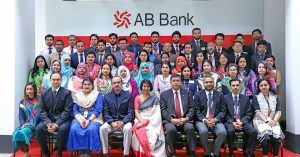 A training program on “Customer Service Excellence” was organized by AB Bank Training Academy for the Front Desk Officials of the Bank. The training program was inaugurated by Ms. Shamshia I. Mutasim, Deputy Managing Director and Head of HRMD. During the inauguration Bank’s Senior Executives were present.